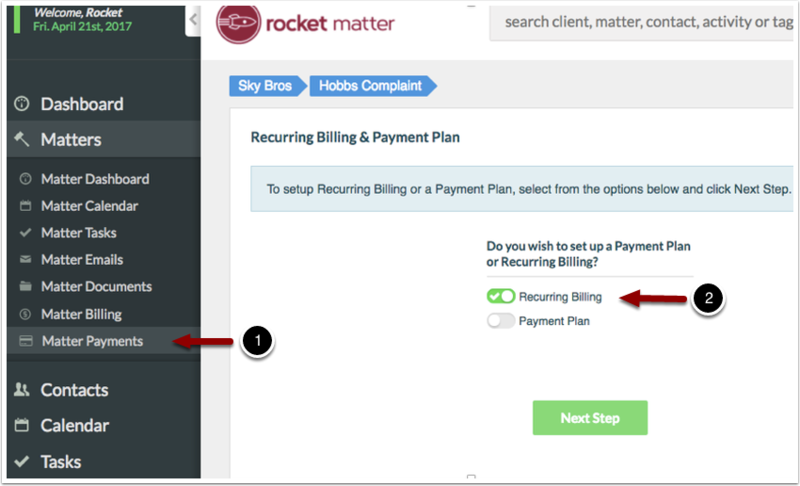 Rocket Matter Knowledge Base LexCharge Integration - Credit/Debit Card ProcessingHow to setup an automated recurring billing plan. 1. Navigate to the appropriate matter to create a recurring payment plan. 2. 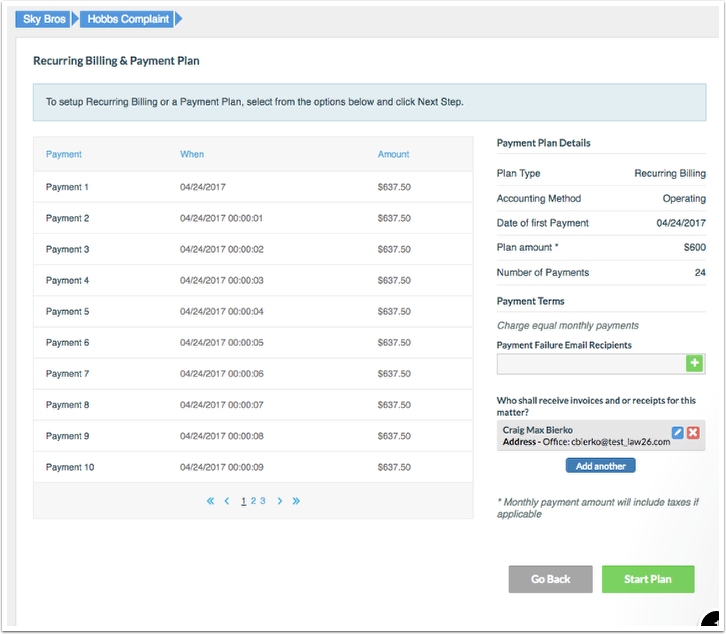 While in the matter, click on ‘matter payments’ in the left-hand navigation panel and select ‘Recurring Billing’. Click ‘next step’. 3. 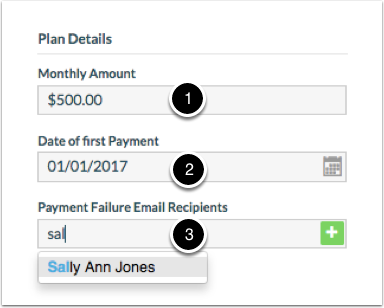 Enter plan details: enter dollar amount, select date of first payment and add payment failure email recipients. 4. Select one of the following payment terms. Option 1: Enter specified number of payments. 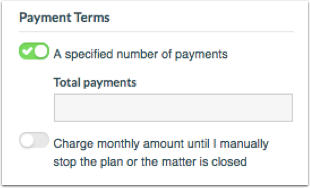 Option 2: Charge monthly amount until I manually stop the plan or the matter is closed. 5. 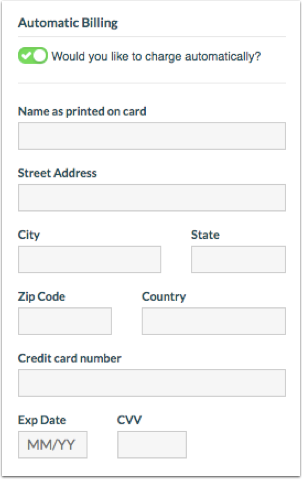 Enter automatic billing if you’d like to utilize this option and enter automatic billing credit card information. 6. Click 'next' and confirm who shall receive invoices and or receipts for this matter and click ‘review plan’. 7. Review plan and click ' start plan'. 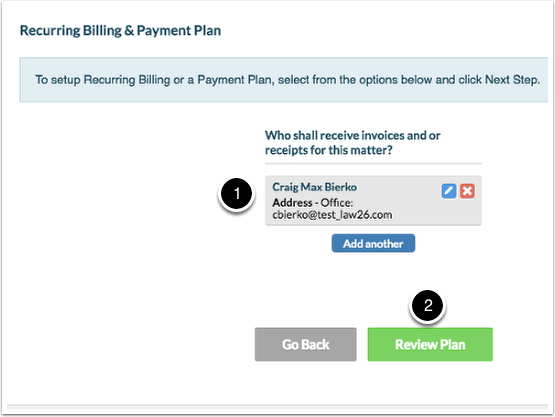 Next: What is a recurring billing plan?